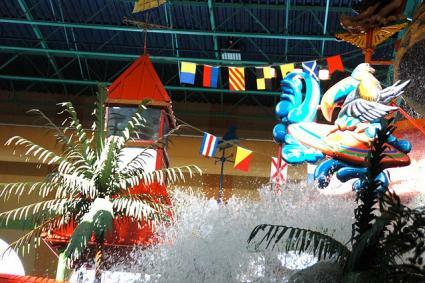 There are several indoor water parks in Illinois that bring tropical themes and splashtastic fun to the "Land of Lincoln." With so many options available, it is easy to enjoy a little watery fun in this northern state all year round. 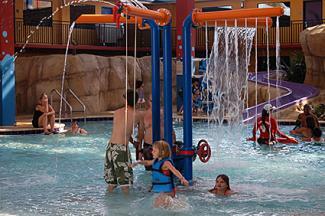 You'll find both large and small indoor water parks located throughout the state of Illinois. These parks are typically associated with a resort, and some require staying at the hotel in order to access the water park features. The youngest guests will enjoy the zero-depth entry Parrot's Perch play area with water cannons, mini slides, and a tip bucket. The private cabanas are perfect for families or groups. Restaurants, snacks, and arcades are also available. Day passes can be purchased for as low as $10 during the week and $15 on weekends. TripAdvisor reviews indicate that the park great fun for children, but is not as appealing to adults. 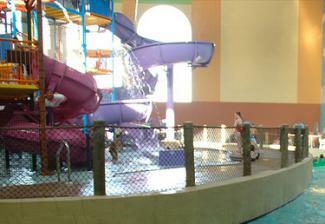 The Water Works is located in Schaumburg and features a fun and colorful underwater theme. 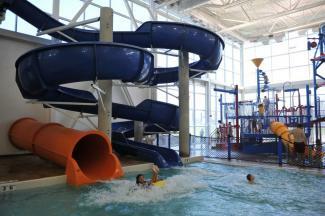 It offers three challenging slides, a rapid water channel, a water playground, and both dive and lap pools for serious swimmers. Swim lessons and aqua aerobics classes are available. Hours of operation vary, so be sure to check the calendar on The Water Works' main page before making plans. Daily use fees are $7 for children and $9 for adults who don't live in Schaumburg, and fees are lower for residents. As a luxury resort, the facilities also include spa treatments, shopping areas, an arcade, and more. The water park is open to guests of the resort only. The Chicago Parent rated the water park number one for families to visit. During a stay, visitors can enjoy 18 holes of golf or visit the indoor amusement park with nine thrilling attractions. Day passes are not available for the water park, but the resort offers many specials. The entire facility can be rented for group events or special occasions. Day passes are available; they are $8 for non-residents and $6 for residents. From a tropical paradise to the wild north woods, there are many fun themes and attractions at Illinois' indoor water parks. Whether you are interested in fast paced slides or a relaxing ride along a lazy river, you can enjoy a great getaway without ever going outside.